It Came To Theaters….In 3-D!!!!! In the 1950s, it was common practice that invaders from other worlds would be the ultimate enemy. While many were over the fear of war with another nation, movies reflected that with films about aliens trying to take over our world. There are so many to count and so few that reflect outer space monsters are good people. And here is where our good friend Jack Arnold comes in. You can give him any script and he would know how to work with the idea. 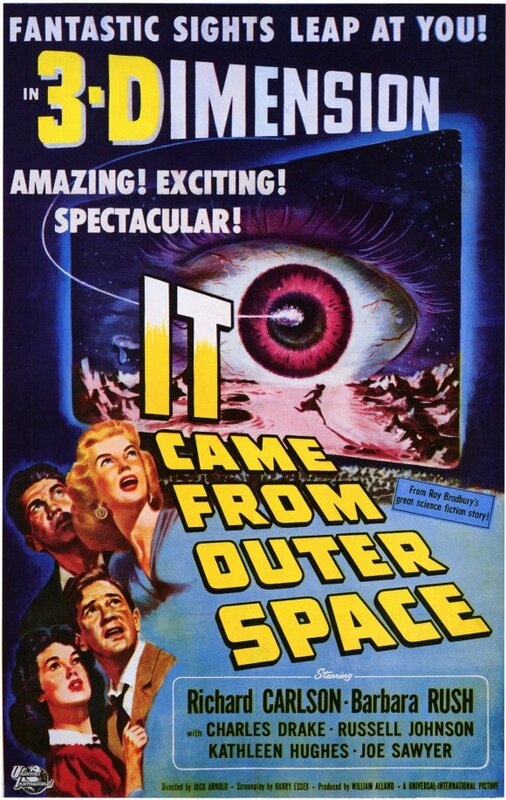 And next to The Incredible Shrinking Man and Creature from the Black Lagoon, I feel It Came From Outer Space ranks very high among one his best to date. The premise is very simple. An alien spacecraft crash lands in the Arizonan desert and the inhabitants inside have to make some repairs. While that goes on, an author named John Putname (Richard Carlson) is the only one who knows about it and tries to warn the town that strange beings are among us. And rightfully so, some people get kidnapped and the creatures disguise themselves as duplicates to avoid any suspicion. But once John catches on, he at first thinks the creatures are pure evil but later sympathizes when he finds their true purpose. Here is where things get clever. Like movies like The Day the Earth Stood Still, the fear of beings from another world is kept but not hit over the head. We understand that humans have a fear for aliens while the other worldly creatures know this too. Its a great commentary on xenophobia and how afraid we were of other nations at the time. 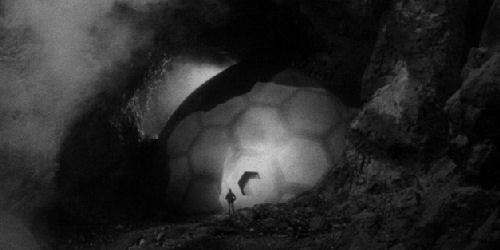 The scene that will always stick out in my mind is when John meets one of the creatures disguised as a human in a mine shaft and have a basic conversation at where they stand. It all concludes when the alien reveals his true self reluctantly making for a chilling yet powerful scene. Credit goes to Ray Bradburry for the story even though the screenplay was written by Harry Essex. Some say Harry took a lot of Bradbury’s material from his screen treatment but changed the dialogue. Regardless, one can tell it has that subtle and poetic touch that normally is a crucial part of Ray Bradbury’s writing style. Even Bradbury himself stated he wanted to treat the alien creatures as beings that were not dangerous which was unusual at the time. Supposedly, he offered two different story outlines; one with the aliens as being malicious and another when the aliens acting benign. Apparently, Universal went with the right decision. Take notes Hollywood! THIS is an alien! The alien design is also very different from the others at the time. We don’t see their true form that often. Most of the time, we get a point-of-view shot that was achieved by blowing a bubble onto the lens which is very creative. And when we do, its a very brief shot which I feel adds to the mystery. 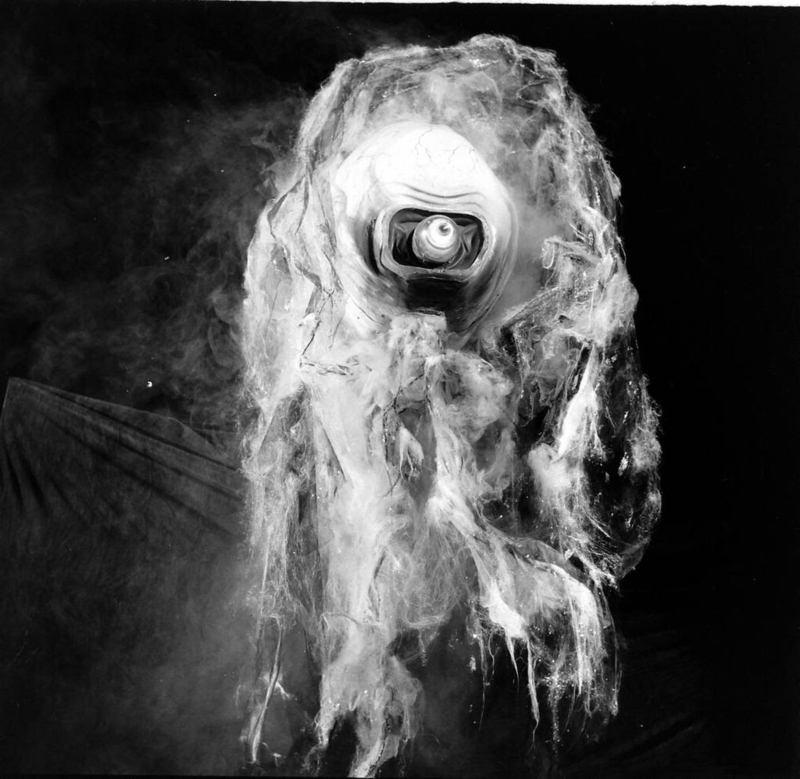 And Its described as a giant floating eye with a bizarre mass of furry bits that almost look like tentacles. We don’t see legs or arms. Just a giant mass floating around and that to me is pure imagination right there. We get something so bizarre that we’ve never seen before and yet question how it can be peaceful. For something that looks so menacing, its a wonder how it can be seen as gentle and that’s how clever this movie is. Originally, another monster design was made but it was eventually used as the Mutants in This Island Earth and certainly it was for the best. Well, if its bigger on the outside…. Another notable highlight was that this was Universal’s first foray into 3-D movies which were all the rave. Sadly, I was only able to see this move in 2-D seeing there has yet to be an official release. Its a shame seeing I am curious to see how certain scenes would work like the falling rocks and the “bubble-vision” shots of the alien. Either way, its still stunning to watch no matter what version. The last thing to address is that there are other humans in this movie that think otherwise about our outer space visitors as a sheriff (Charles Drake) grows paranoid over the creature’s ambiguous nature and plans to hunt them down. Instead of the cliche “man hate alien” motif, we understand why. There is no good or bad side. Just basic paranoia. 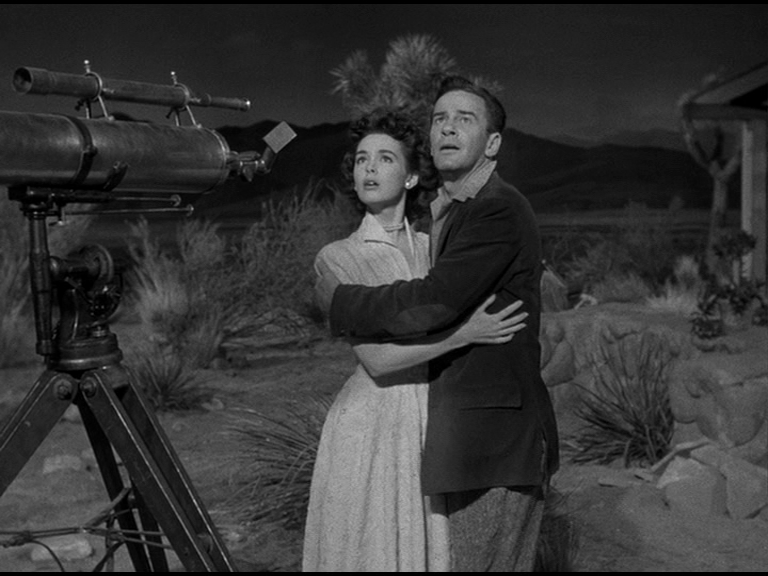 And for a B-movie to address those heavy themes while still being fun and enjoyable is a wonder to me. Don’t let this one gather dust on the shelf. Check out this underrated sci-fi classic for what its worth.